The structure indicated is the tibialis posterior muscle of the leg. The muscles in the posterior compartment of the leg are separated into a superficial group and a deep group. Generally speaking, the muscles of the posterior compartment serve to plantarflex at the ankle joint, invert the foot and flex the toes. The posterior leg muscles are innervated by the tibial nerve, a branch of the sciatic nerve. 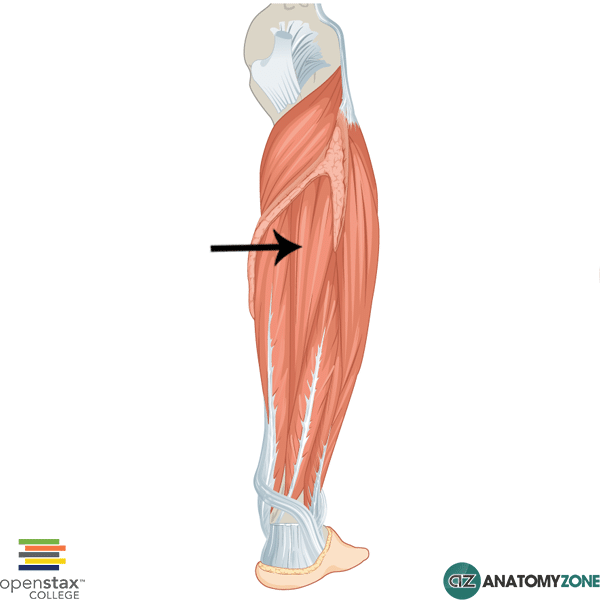 Learn more about the anatomy of the leg muscles in this tutorial.